Great investment opportunity or home buyer looking for some sweat equity to update the house. 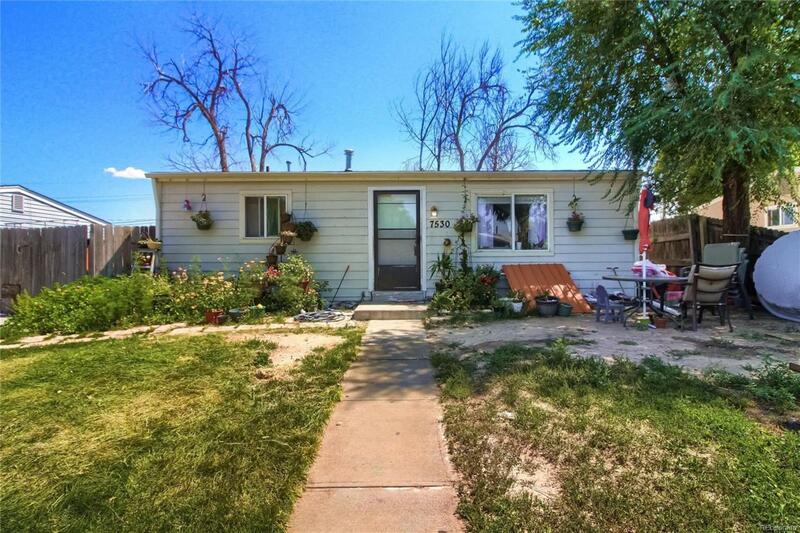 Ranch style 4 bed/1 bath home with basement has hardwood floors on main level, tiled kitchen and bathroom, carpeted bedrooms, large gated back yard and new roof as of 2018. 2 bedrooms in basement are non-conforming. Storage shed in backyard. Home has lots of potential as an affordable opportunity for a large family or investor. Close to Stapleton, Northfield and Commerce City shops and restaurants. Easy access to I70 and I76. Tenants will be out of house in 60 days. Offered by Wisdom Real Estate.